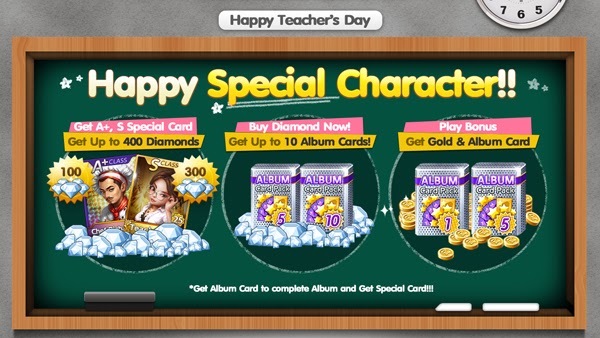 To welcome our genius Teacher Ara and New Limited Album Card Pack, here are special events for you!! +Buy diamonds get up to 10 album cards!! + Album Card Pack II Now Available in Shop!! Only in a limited time!! Tip: Collect Album Cards to complete the Album Collection! And you will get special cards and items as a reward!! Get any special card in this event you will get up to 400 diamonds!!! Let’s Fun and Rich with Special Characters! !